Conferences always serve as a boost and inspiration for this young genealogist. I was happy to introduce two of the speakers, Michael Strauss and Tom Toohey. I took a lot away from the program and met a lot of great people. The conference consisted of four lectures. Michael Strauss (genealogyresearchnetwork.com) was first and gave an impassioned lecture on World War II Veteran Research and how to navigate around the disastrous 1973 Fire at the NPRC. There are certainly some collections that I would like to try as I am having a difficult time finding documentation on both my grandfathers’ service in the Second World War. After his talk, I spoke with him about my genealogical dilemma. A couple of months ago, I mailed NPRC a request for my grandfathers’ service records with two Standard Form 180s. Strangely I only received back in the mail only the copies of the death certificates I had previously attached. There was no letter that mentioned anything about a search being completed. I was stumped by this and Michael explained that the records may very well be lost. The second speaker was Drew Bartley (your genealogist.com) who gave a live demonstration on familysearch.org. Drew gave some great tips on how to use the Wiki and Record Catalog. I am also certainly thinking about doing an indexing project now after his presentation. After lunch, Carol McCoy (find-your-roots.com) walked us through her careful methodology in a Maine genealogy brick wall that ended with exciting results. Last but not least was Tom Toohey (thomastooheyproductions.com) who demonstrated how exciting maps can be for genealogy. I will be referencing his syllabus as a go-to when I need to look up some maps for my ancestors! Seema Kenney and all the organizations involved put together a great event. I am looking forward to next year. I am looking forward to helping at this conference and introducing one of the talented speakers. The conference offers four free lectures and is sponsored by the Chelmsford Genealogy Club, Mass Society of Genealogists (MSOG) Worcester Chapter, Chelmsford Senior Center, and the Chelmsford Library. You can register for free using this link. I enjoyed writing this blog post for Legacy News mostly because it allowed me to talk about two of my favorite passions: music and genealogy. If your family has a deep connection to music, you may want to give this a read. 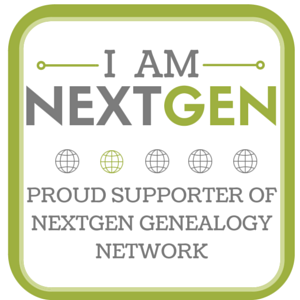 I hope you enjoy it; please bookmark Legacy News which brings you lots of wonderful genealogy tips from today’s experts.